While the built-in iPad Contacts, Calendar, Mail, and Photos app looked new, improved, and spruced up; the Notes app didn’t look very much different to the one we know and don’t really love on the iPhone. I just about never use the built-in Notes app on the iPhone. 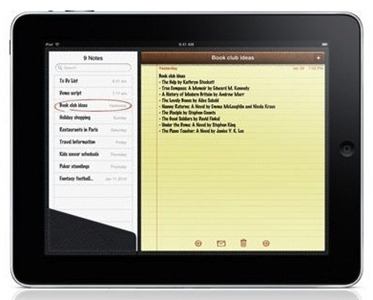 Instead I use Evernote, Notes Pro and others to do notes for app reviews and everything else. None of them has me totally convinced though. Evernote has lots of power and features than go beyond just note-taking, but it’s interface for inputting and editing text is lousy. Notes Pro has a far nicer input interface but it lacks a good sync solution (offering only one way export to Google Docs). Omni Group – publishers of several well-known and well-liked apps for Mac OSX and the iPhone – are planning to bring no less than five of their apps to the iPad. Yes. Five. 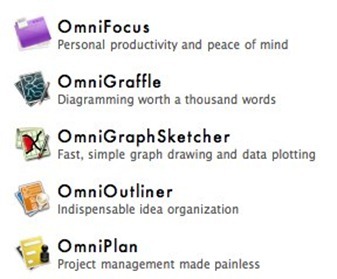 We want to bring all five of our productivity apps to iPad: OmniGraffle, OmniOutliner, OmniPlan, OmniFocus, and OmniGraphSketcher. Citrix is one of the leading names when it comes to secure remote access within corporate environments. They already have a remote access client app for the iPhone, called Citrix Receiver. Well if your company has XenDesktop or XenApp you will be happy to know you will be able to use your iPad for real work as well. It turns out the 9.7 inch display on the iPad with a 1024×768 screen resolution works great for a full VDI XenDesktop. Windows applications run unmodified and securely in the data center, and even multiple applications at once. 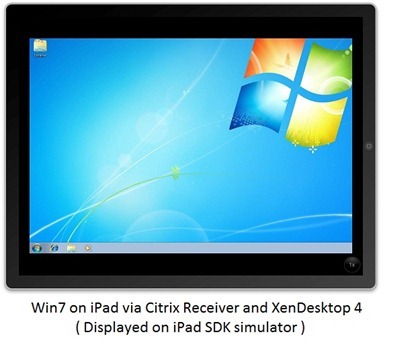 The advancements that were made for the Citrix Receiver for iPhone will carry over to the iPad, however the iPhone restrictions of screen size and small keyboards are overcome with the iPad. It’s a beautiful thing ! The iPad looks to be an ideal end point device that can empower users to be productive were ever they are and IT will be able to safely deliver company hosted virtual desktops and apps without worry. Evernote is one of my most-used apps, on the iPhone and on my laptop. It’s one of the few apps that gets use just about every day on both iPhone and desktop. So I’m very happy to hear that they’re very enthusiastic about the iPad and bringing a modified / optimized version of Evernote to it. I was also very interested to learn – via an interesting blog post at the Evernote Blogcast site – that Evernote has a long standing history of involvement with tablet devices, and even with the much-revered Apple Newton.